manufacture and importation of most of the remaining commonly used types of T12 linear fluorescent lamps by July 14, 2012. The reason is the inefficiency of those T12 fluorescent lamps, in comparison to their more energy-efficient alternatives. Recognize that the magnetic ballasts that are required to operate those T12 lamps were already phased-out in October 2010. This significant change will directly affect many commercial, retail, and institutional businesses; in addition, it will even affect some residences, those with existing T12 fluorescent lighting. This means that you have a relatively short time window to take action to become prepared for the multiple real consequences of this change, that could affect you, and that could provide opportunities for improving your business.Additional information about what a T12 fluorescent lamp [or light bulb] is, should prove helpful. 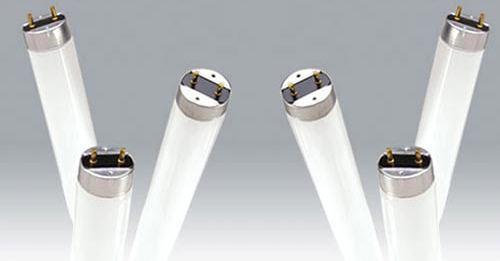 Straight (linear) fluorescent lamps are partially described by the outside diameter of their tubular glass envelope, measured in eighths of an inch. Hence, a T12 lamp is 12/8ths of an inch, or one and one half inches (1.5”) in its diameter. The specific lengths of T12 lamps affected by this “game-changer” begin with four-foot (48”) rapid-start lamps with a bi-pin base [or end cap] at each end. Also affected are two-foot (24”) U-shaped T12 lamps with twin bi-pin bases, one at each end of the legs of the ‘horseshoe’. Affected in addition, are eightfoot (96”) T12 lamps with either a single (fat) pin base at each end [which is also known as a ‘slimline’ or an ‘instant-start’ lamp] or a recessed double contact (RDC) base at each end [which is also known as a ‘high output’ or an HO rapid-start lamp]. Besides the fluorescent lamp holders, there are two key electrical components in every light fixture [which is more properly called a “luminaire”]. First, are the one or more lamps that actually produce the light. Second, are the one or two ballasts that are required to start and to regulate the operation of the lamp(s), and in some cases to heat the electrodes inside the ends of the lamp. applications, such as those that do not require extremely long lamp life or have very difficult access. at a substantial price premium. This latter situation is exacerbated by recent scarcity of rare-earth minerals. done well, can produce an advantageous and beneficial outcome, as well as reduce operating expenses. these much more energy-efficient lighting technologies, it can do so, usually within two to five years. statewide Uniform Construction Code (UCC) legislation, which became effective in PA during 2004.
perhaps most important, is qualifying for and obtaining any available funding grants and/or utility rebates. prudent advice available from an experienced design professional, you do not have to go it alone. Categories: Bulbs, Electrical Tags: Fluorescent, lamps, market, T12 Leave a comment ? Expect copper prices to remain strong for the mid-term. Factors contributing to the bullish outlook for copper are: the highest level of building permits in the United States in about four years; production constrictions; a deficit in refined copper; and a slower but still healthy demand from the construction industry in China. Through July, copper futures on the COMEX have climbed almost 3% since the beginning of the year, according to Market Watch . Gold futures for the same period have only risen 0.9% and silver futures have fallen. In late August, the International Copper Study Group (ICSG) reported a 405,000-tonne deficit in refined copper for the period January-May of this year. Last year for the same period, the deficit was only a fourth as large, 98,000 tonnes. Meanwhile in Chile, where about a third of the world’s copper is produced, constrictions on production have cropped up. Mines are aging and the ores grades are deteriorating. Labor actions and accidents have increased, and weather has affected some output. Production is expected to be higher than the year before but only by 2.7%. Moreover, BHP Billiton, facing profit declines, may be looking to postpone capital expenditures for new operations. China has been consuming about 40% of world demand, and although projections for the Chinese economy have been slipping of late, construction as a sector is holding up fairly well. Chinese house prices, which had been slipping most of 2012, steadied this summer . And although the overall economy is expected to be somewhat less than 8% (low by recent standards), the fixed asset investment figure rose in June. 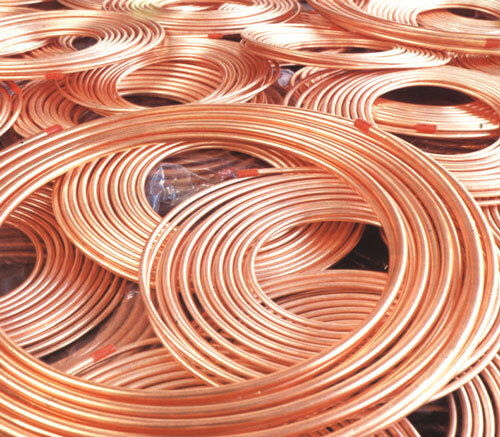 According to Market Watch, the German copper producer Aurubis in June reported it expected Chinese demand for copper to run at 8% above last year, to 8.4 million tonnes. © 2012 The Electrical Distributor. All rights reserved. Categories: Electrical Tags: china, chinese, chinese economy, COMEX, copper, Economy, market, prices Leave a comment ? Did You Know This About Light Bulbs and LED Lamps? There are approximately 4 billion light bulb sockets in the U.S. This includes both residential and commercial. The U.Ss purchases about 2 billion residential light bulbs a year or about 5.5 million bulbs a day. 81% of Americans say that using energy-saving lights is a good environmental practice. Under federal law, incandescent light bulbs (the bulbs that most Americans use in their homes today) will be completely phased out by 2014. More than half (61%) of Americans are not aware of the legislation to phase out incandescent light bulbs. And 84% of people, ages 18-24, are not aware of the legislation. LED lights can have a lifetime of 50,000 hours or more in continuous operation. Depending on how many hours-a-day they are operating, that can be anywhere from 6 to 7 years to as many as 20 to 30 years. It is predicted that global sales of general-purpose LEDs will triple to $14.9 billion in 2013 from $5.1 billion in 2008, a compound annual growth rate of 24%. LED lighting can save up to 85% of the electricity used by incandescent bulbs and up to 50% of electricity used by fluorescents. Rapid adoption of LED lighting in the United States over the next 20 years would reduce electricity demands from lighting by one-third, eliminate 258 million metric tons of carbon emissions, eliminate the construction of 40 power plants and create financial savings that could exceed $200 billion. Categories: Bulbs Tags: billions, bulbs, electricity, energy, lamps, LED, LEDs, light Leave a comment ? Categories: Bulbs Tags: 2012, Fluorescent, lamps, phased, T12 Leave a comment ?